What the Bible says about repentance is quite controversial. Repent and Believe to Receive Eternal Life? In some circles, repentance is a necessary first step to conversion, usually preceding faith. Those who hold this view often say things like “Repent and believe.” The idea, of course, is that in order to receive eternal life, people must first repent of their sin, and then secondly, believe in Jesus. Passages such as Mark 1:15 where John the Baptist calls on people to “repent and believe the gospel” seem to support such a view. Is Repentance a Synonym for Believing? However, since turning from sin as a precondition for faith is a form of good works, many Christians are uncomfortable with defining repentance this way, and so think of it instead as a synonym for faith. They note that the Greek word for repentance (metanoia) literally means “to change the mind” and so those who hold this view argue that repentance is simply the process of changing the mind about the source of one’s eternal life. While previously we might have thought that we could gain or earn eternal life through our own merit and good works, once we recognize that we are sinners in need of God’s grace, we change our mind about how to receive eternal life (that is, we repent), and believe in Jesus for eternal life instead. In this way, repentance and faith are two sides of the same coin. I am convinced that both views are partially right and partially wrong. While it is true that repentance literally means “to change the mind,” the term is almost always used in reference to sin and so it is accurate to think about repentance as a turning away from sin and back toward God. When we repent, we change our mind about our behavior, and in so doing, actually change our behavior as well. Yet despite the fact that repentance refers to a turning from sin and turning toward obedience, this does not in any way mean that repentance helps us earn or merit eternal life. Eternal life is by grace alone, through faith alone, in Christ alone. Turning from sin is not required. It is probably best to think of repentance as an aspect of discipleship. Both believers and unbelievers can understand God’s instructions in Scripture, see the devastating consequences of sin in their own lives, and as a result, repent of their sin and seek to follow God instead. If unbelievers do this, such repentance may help bring them to the place where they believe in Jesus for eternal life, but if this happens, such repentance does not in any way contribute to their eternal life. Of course, once a person believes in Jesus for eternal life, they can still (and should) repent of sin that they commit so that their lives can be transformed more and more into the image and likeness of Jesus Christ. 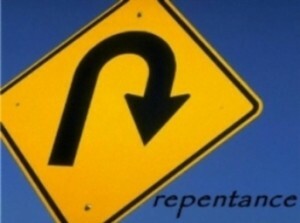 Repentance is a turning from sin and returning to the life God wants for us. This turning from sin does not help us earn or keep eternal life, but does help us follow Jesus on the path of discipleship. 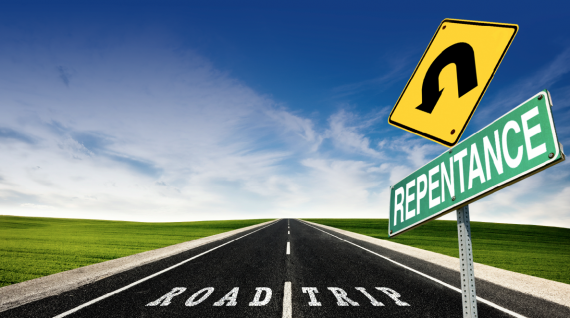 Repentance helps us gain freedom from the damaging and addicting power of sin in our lives. Remembering this will help clarify the scores of passages in the New Testament which talk about repentance. These passages on repentance are not calling people to make changes to their behavior so that they can receive eternal life. No, passages on repentance are calling all people to change their lives so that they can avoid the negative and physical consequences of sin and live the life of joy and freedom that God wants. Repentance is vitally important for living life with God and with each other the way life was meant to be lived, but repentance is not one of the conditions for receiving eternal life from God. Thankfully, eternal life is a free gift of God to anyone and everyone who believes in Jesus for it. Jeremy, you’re making unnecessary constroversy. Eternal life is certainly not without repentance, and it is such a vital component of being “born again” that it can be said to be a condition of eternal life. Eternal life is on the basis of Christ’s finished work, not on ANY works of mine. Eternal life cannot be both by grace alone and also require works as well. Repentance as a change of mind away from sin and toward God can be before believing and also after believing but has absolutely no bearing on my eternal destiny. Repentance is always about avoidance of temporal judgement. And there are plenty of additional passages that say the same. A faith that does not provide a change in your life is no faith at all. You cannot separate faith from repentance. Mattthew, have you ever asked yourself what the “Lord, Lord…I never knew you; depart from Me” scripture means? Probably you have. Most believers I come across have at some point wondered what it means and have felt frightened by it. Today I want to bring clarity to this part of the Sermon on the Mount. In John 6:28 Jesus was asked this same question, “What must we do to do the works God requires? In other words, the crowd asked, “what does it mean to “work” the works of God or to “do” the will of God. Even though this expression “the work of God” seems to imply that we have to do some external action or work, actually refers to an action of faith, of placing our trust in Jesus Christ. This is what it means to do the will of the Father. Jesus repeats Himself in verse 40 in case we’ve missed it: “For my Father’s will is that everyone who looks to the Son and believes in him shall have eternal life, and I will raise them up at the last day” (John 6:40). To believe in Jesus is to do the will of the Father! there you go next time do some research and really read the bible so you wont be so messed up about it ok :). Yes, belief is certainly necessary but to claim that belief is the only requirement is simply false. Belief AND obedience are necessary: “And being made perfect, he became the source of eternal salvation to all who obey him,” Heb 5:9. Belief without ongoing obedience is worthless. 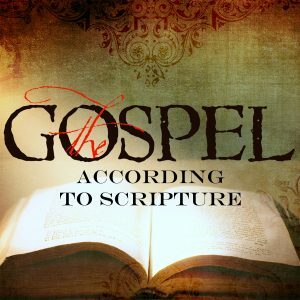 One must reconcile all of Scripture as the scriptures do not contradict each other. Matthew 7 specifically says that those who do good works (ie. prophesy, cast out demons, mighty works) but do not know the Lord are not saved. This doesn’t point toward the need for works by away from it. I think that in one sense, you hit the nail on the head. Faith, AKA salvation, is what PRODUCES repentance and works. The passage cited, as has already been mentioned, discusses those who specifically were trying to earn their way into Heaven. They relied on an outward turning of ways, not on Christ’s finished work. Christ is the only way to salvation. Jeremy, Having done a word study on “repentance” and having studied the surrounding contexts of the use of the word, I agree with you. Repentance is not a condition of eternal life.Looking at the contexts surrounding the word, I see that repentance can occur before salvation, or after salvation, but never FOR salvation in the Scriptures. Yuri Wijting, I am actually only trying to state what I see in Scripture. If repentance is a turning from sin, and repentance is required for eternal life, then turning from sin is required from turning life, which means that eternal life is not by faith alone in Christ alone. Matthew Aznoe, I respectfully disagree. Which message is more dangerous: “God gives eternal life to anyone who simply believes in Jesus for it” OR “God gives eternal life to those who turn from sin, obey God, and live a life of ongoing good works”? The first is a message of eternal life by grace alone through faith alone. The second is a message of eternal life by grace through faith plus works. Jeremy Edmondson, You are absolutely correct. When a careful and contextual study of the word “repentance” is done, this is exactly what is discovered. Repentance is vitally important, but not for gaining, proving, or keeping eternal life. Repentance means changing your mind. I had to change my mind about who God is…. Me or Him. That is “repentance unto salvation” once I got that straight, there is lots more changing of my mind…. A lifetime full. Only the one is for salvation. 2 Cor 7:10. For the sorrow that is according to the will of God produces a repentance without regret, leading to salvation, but the sorrow of the world produces death. Julie, my only concern about this verse would be the context. I don’t think that “salvation” here has anything to do with “go to heaven when you die.” This context seems to be speaking of Christian conduct or the lack thereof. Bingo! Winner, winer, chicken dinner! Salvation to me means my sins are forgiven, I am accepted, adopted and loved by the King. Heaven is just where He resides …. I’m not trying to get to heaven, I just want to be with my God. I am continually looking to Him to understand truth. When the lies are overcome by truth, repentance has occurred. It’s not about changing your actions, the Pharisees did that. When I change my mind I naturally change my actions. It is a lifelong process. “I’m not trying to get to heaven, I just want to be with my God”. This is a beautiful sentiment. Sometimes I think I want to get into heaven for the wrong reasons ie: a fear of hell, or because I believe heaven will be full of animals which aren’t being killed either by us or each other. I wish my reason for wanting to be there was more like yours – because of who God is, but the truth is – after 5 years of being a Christian I still have no concept of who God is and I don’t know how to change this. The story of Zacchaeus is instructive (Luke 19 vv1-10). If Zacchaeus had listened to Jesus, had believed he was the Messiah, but had continued to fleece his fellow countrymen would salvation have come to his house ? You can take sola fide too far. 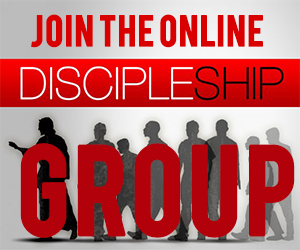 When we believe in Jesus we become his disciples too and becoming his disciples may involve us doing something about our unrighteous lifestyle. We must the defend the Christian faith not sola fide. “We must defend the Christian faith…”? Where do we learn that from the Spirit of Jesus and His living Word? Peter wrote to be ready with an answer for the Hope that is in you. That is, Christ is all in all. Take note that He didn’t even “defend” Himself really… all He did was the will of the Father. Love. Matthew – interesting that you bring up Matt. 7 to counter Jeremy’s position. Matt 7 addresses people who do good works AND call Jesus Lord. Nothing is said about whether they believed or repented. They would actually be those who talk the talk and walk the walk yet they are still separated from Christ! Jeremy – I agree with your position. the biggest problem (okay, two biggest problems) are (1) what is the definition of “repent”, and (2) what is the context. Most passages dealing with repent are dealing with those who are already God’s people – either Israel to return to covenant or for believers to repent. Thanks for the post! To understand the Bible, one must understand what Scripture refers to as “administrations.” We today live in the Administration of Grace, during which those people who are born again receive a guarantee of salvation. Throughout history, for the accomplishment of His purposes and the benefit of His people, God has changed the “rules” by which He wants people to live. Examples of God changing the rules from administration to administration are plentiful. In the Garden of Eden, He told Adam and Eve to eat plants only (Gen. 1:29), but after the Flood, God changed the rules and allowed man to eat meat also (Gen. 9:3), and He still allows us to eat meat today. Another clear example concerns the Sabbath. Before the Mosaic Law, there was no specific law concerning the Sabbath. When God gave the Law to Moses, He changed the rules, and commanded that anyone who worked on the Sabbath should be put to death (Exod. 31:14). Today, in the Administration of Grace, God has changed the rules again, and it is not a sin to work on the Sabbath (Rom. 14:5; Col. 2:16 and 17). When Christians do not recognize or understand the administrations in the Bible, the Bible abounds with apparent contradictions. The Grace Administration, in which we live today, began on the Jewish holiday of Pentecost (Acts 2), when the gift of holy spirit was given via New Birth to everyone who believed. It is called the “administration of God’s grace” in Ephesians 3:2, but we usually call it “the Administration of Grace” because now, by God’s amazing grace, salvation is guaranteed to every Christian. That guarantee did not exist in the Old Testament or Gospels, so Jesus did not mention it. Jesus taught according to God’s rules for the administration in which he lived, the administration of the Law. Today, by God’s grace each Christian has the guarantee of salvation that was given to him when he got born again, and that guarantee stands whether or not a Christian is faithful to live a godly life. Can the bible make sense any other way? Do you mean, with respect to Dispensationalism, or with respect to the sketch? Dan, I am willing to discuss. Can you give me an example or two? I did click on the link . Are all the teachings recordings? Are there transcripts available? Yes, those teachings are all audio files. – focuses on understanding and doing the right things versus knowing and trusting the right Person. – directs attention to current events in the Middle East, versus attention to Jesus. – plays pretend ‘literal’ interpretation of certain passages, versus a robust understanding of the overarching story of God’s work and purposes. There is, frankly, way too much to discuss to make much progress in Jeremy’s comment section, but if you look at that sketch I linked to above, you can ponder how it does or doesn’t accord with your own understanding of things, and can tweet at me for further dialog. Faith = trusting the goodness and wisdom of my Father, which enables a life-enabling relationship and results is a change in my behavior. Repentance = changing my mind from trusting myself and my own resources, to trusting my Father. No works are involved in responding to the exhortation to reconsider the right object of my trust (me, or God?). Salvation is not a ‘ticket’ to be gained, it is a for-reals relationship with God. 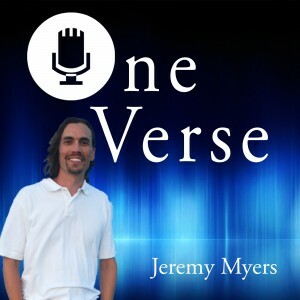 Jeremy, You describe ‘eternal life’ as a gift from God, but it is a limited gift, and what gift must be earned? The limitation is that one must know about Jesus in order to believe in him. Those millions who lived in North and South America, and on land bodies in the Pacific Ocean before about 1500 were SOL since there was no way for them to learn about Jesus. Similarly, millions of people in India, China, and parts of Europe and Asia were never contacted. As far as having to earn the gift, one must take the action of believing in Jesus. Repentance is not as big an issue as the issue of a monstrous God who knows that millions will go to hell for lack of the knowledge of Jesus but does nothing about it. Scripture is clear that all will meet Jesus sooner or later (Phillip. 2). I believe that God does not limit Himself to our finite grasp of time, ages/aions, and most of all our own brief life-times. Along with that, He is not a judge as we are… full of self-righteous pride. The Glory of His Love will simply blow us all away! We think we know how amazing His grace is now, eh? Just wait. How much more! I know you’re seeking Him Prinzal… otherwise you wouldn’t be so interested in Jeremy’s theological musings, eh? You will find the God of Love you long for… in Christ alone. I doubt you will see me anywhere – if I’m right there is no ‘where’ after death and if you’re right, we won’t see each other unless we’re both in hell. You seem to imply that you don’t believe in universalism which means that you believe in a God who is not infinitly loving which contradicts the description most Christians give for God. You also say that salvation is through Jesus alone but you have to make up some fantasy about God being a time-traveler so he can go back and save the millions who were left SOL by the method of instruction God chose to tell people about Jesus (word-of-mouth). That may allow you to believe in God of infinite live and to sleep at night dreaming about everyone going to heaven rather than having nightmares about those who never had a chance to hear the word of Jesus and suffering in hell. You have raised a big question and an important issue. But once again, as with nearly all of your objections, you assume I believe many things which in fact I do not. For example, even IF those who have not heard of Jesus go to a place called “hell”, I do not think the Bible teaches that his is a place of suffering and torture for ever and ever. That is not at all like the God revealed in Jesus Christ. 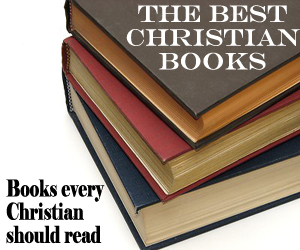 I have read many books, blogs, and sermons by Christians and had discussions with many others. What I have found is the “Christianity” is a loose term applied to a wide variety of beliefs. Many (if not all) Christians seem to be BC – buffet Christians – picking which parts of Christianity they like (agree with) and discarding (disregarding) the parts they don’t like or the parts that make them uncomfortable. Making hell less of a punishment is one way that many Christians try to make the condemnation of those in SA, NA, and the Pacific before 1500 more palatable. “Well, yes,” they say, “Those people went to hell for eternity, but it’s not like God is actually punishing (tormenting) them.” To answer my objections to Christianity, these Christians water down the idea of eternal punishment. Consider Mark 9:46 or Revelation 20:15. I could go on. You, Jeremy, just as I, can believe whatever you want. But when you choose to believe that the verses above do not describe a “place of suffering and torture for ever and ever,” you are attempting to make the belief in a monstrous God acceptable because of you believe Jesus is so great. Jesus may have been a wonderful, loving, teacher and leader, but, if he was God, then his rap sheet is long and bloody and he must be held accountable. No amount of denial will make your God anything but evil and negligent toward the world he created. That God is not worthy of human belief. That’s why I choose disbelief. I fully understand your decision to choose disbelief. But know that in my view (which I believe is the view of the New Testament authors), we don’t seek to understand Jesus in light of God, but rather, God in light of Jesus. Jesus reveals God to us; not the other way around. So where the biblical depictions of God conflict with what is seen in Jesus, we don’t make Jesus to be more like that violent and bloody god, but should seek to understand what Jesus is telling us about that violent and bloody god…. maybe that he doesn’t actually exist and the true God looks like Jesus instead? Anyway, regarding what the Bible says about hell, there are vast amounts of research and study that have gone into my current beliefs. I don’t just pick and choose willy nilly based on what I want. But even contemporary Christianity is coming around to see that most of what we believe about so-called “hell” is completely wrong. Just compare a King James Version of the Bible with a New King James or an New American Standard. The King James Bible talks about hell all over the place, but the newer English translations realize that the Hebrew word “sheol” doesn’t refer to hell at all, and nor does the Greek “gehenna.” I could go on. The point is that most contemporary ideas about “hell” come from faulty English translations of the Bible … not from what Jesus or one of the apostles actually said (or meant). Harold, I agree that if the Bible says what we’ve been told it says about god and it is true, we’re screwed. That god doesn’t even give us the choice to cease to exist. We didn’t ask to be created. We must exist forever, and if we didn’t follow some certain set of beliefs in this life (which there are thousands of opinions on exactly what that should be), we’ll be tortured in the flames forever and ever. That all describes a god who is the ultimate monster. Who would want to believe in such a god? In my opinion, the Bible does not say what we have been told it says. Those who have told us the “obvious, clear” meaning of the Bible have not told us what it really says. Their “interpretation” best serves their purposes. It perpetuates systems that have been in place for centuries, systems that give power, authority, honor and even material benefit to those who control those systems. If you owned a company that made billions of $ every year selling gasoline and you discovered a tablet that could be manufactured for ten cents, added to a tankful of water and power an automobile for hundreds of miles, would you tell the world about your discovery, or would it be in your best interest to continue to convince everyone that they need to continue to buy your gasoline and enrich your bank account by billions every year? Admittedly, many probably don’t know they’re unwittingly perpetuating systems designed for the enrichment of the few. None of this, however, proves that God does not exist. It does not prove that God is a monster. The God I know bears faint resemblance to the god created by those who desire a god who serves them, a god whose worship will give them power, honor and glory at the expense of the rest of us. I don’t follow how ‘what I want’ enters into it. Let’s say someone commits a crime, get’s caught, and is sentenced t0’insert punishment here.’ Now, the convict may not LIKE the sentence, he may not want to believe it, but it doesn’t alter the sentence. He can’t simply eradicate the sentence by choosing it doesn’t exist. If I run up my credit card, I may not like the fact that I’ll get a bill eventually and have to pay. My belief that I’ll get a bill, or not get a bill, doesn’t alter the fact that I’ll eventually get a bill…does it? Dave, Take the words “want to” out of the comment and what remains expresses what was trying to say. The implication is that, in my opinion, few would believe in such a god. I cannot see how I could. That is not the god I know. The God I know looks like Jesus. Is an Abrahamic God the only possibility? In rejecting the two-faced Janus of Christianity are you not allowing your thinking to be confined within a false opposition— an opposition that Christianity lays out as a trap: believe in our God or be doomed? Nowhere is repentance, faith and new life preached as separate ideas. One without the other is incomplete. 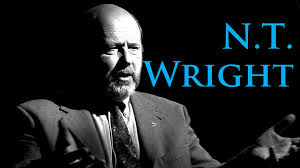 Telling seekers that they are right with God without the evidence of conviction of sin (the work of the Holy Spirit) that results in the desire for a changed heart, life, lifestyle, mind and character, is like picking green fruit, and after a bite or two wondering why it doesn’t taste like it should. We’ve canned the gospel into a sales presentation, rather than preaching to convict of sin before offering Christ as the solution to a felt problem. Bonhoeffer called it cheap grace, and I agree. Problem Reaction Solution. Mind control 101. Seriously Tim, the idea that faith should be built on a guilt trip—have you ever considered how abusive and manipulative that is? As the believer discovers how God really acts in the world he simultaneously discovers a new way of being which he himself can emulate. Not problem, reaction, solution, but solution, reaction, problem. These are great points…. (which you often make). I get confused though… didn’t you say in previous comments that you were an atheist? I am trying to understand where you are coming from?! Ha! 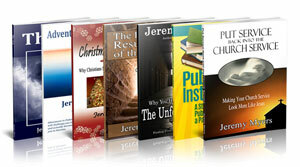 Jeremy, I’m not able to reflect God very well, but I am not an atheist. I’m not sure explaining my beliefs will have much value, our thinking is too different, but perhaps I should at least admit that my comments on your forum have been experimental. One goal of the experiment, (not the only one, but maybe an interesting one) is that I wanted to gain insights into problems in my relationship with God by using others as a mirror. You see, God is challenging me very provocatively, and I’m struggling with it.. He’s much more peaceful, patient and wise than I WANT to be. In my fear and anger about what’s happening in our world, I’m just as guilty of the doublethink that I’ve found here as people avoid facing contradictions in their beliefs. One thesis you present, and one I completely agree with, is that God is not violent. The problem is I am. If I had God’s power I would wipe out the psychopathic ruling class in an instant, despite everything I understand about why God is peaceful. This doublethink is what I must overcome. That’s the challenge God is currently presenting me with. Well, I don’t think you need to understand me, but anyway, that’s a glimpse of what you’ve been dealing with. If it helps you sleep better, if I continue commenting on this forum I’ll be exploring a more reconciliatory approach as I’ve learnt what I need to understand from the provocative one I’ve taken so far. My problem, like so many here is doublethink. Perhaps you can also understand what I mean by solution, reaction, problem. I guess I misunderstood something you said earlier about being an atheist. Sorry. Anyway, I hope the experiment is going well! Like you, I am violent by nature as well… and like you, I am sure I have numerous areas of doublethink. Thank you for challenging and questioning! I would say that everywhere faith and repentance are taught as separate ideas. Grace is only cheapened when we try to add human effort such as requiring people to have a changed heart, life, lifestyle, mind and character in order to assure them that God loves and forgives them and freely gives them eternal life. So no, I don’t teach cheap grace. I teach free grace. Shocking, outrageous, scandalous grace. Grace taught without the connected expectation of a shocking, outrageous and scandalously changed life is cheap grace, sold to get us what we want, not provided to meet a requirement we can never obtain. In your position, if a person doesn’t have the changed life that must always accompany the reception of grace, then this proves that they never really received grace in the first place, right? So, in order for final glorification, a person needs grace plus works. Hence, glorification (or eternal life) is no longer by grace alone, and therefore, grace has been cheapened. But when we boldly stand on grace alone, we are able to see what a an amazing gift it truly is. It cost God everything so that it can be absolutely free for us. This doesn’t cheapen grace; it makes it the most amazing free gift ever! Roger Fankhauser, Excellent, excellent point about Matthew 7! Thanks for including that! Good works is not equal to repentance. Repentance is not equal to ceasing to sin. Repentance is adopting a God-aligned mindset about who He is over against who I am. Humans typically live their lives believing they are the ultimate authority. Repentance is recognizing that God is the ultimate authority and willingly realigning your thoughts to correspond with the truth about who God is and what our right position is before Him. Can you repent, and later sin? Yes, but your sin is inconsistent with your realigned mind. Can you have faith in God, and later sin? Yes, but your sin is inconsistent with your trust in God. Repentance for the believer is a necessary mental course correction after we have been deceived (something we are repeatedly warned against). I might be able to agree with your understanding of repentance. I think it is pretty close to what I was trying to say as well. Thanks for sharing your thoughts! Come back any time! Faith alone saves, but saving faith is never alone. The problem with so much reformation thinking is that it frames the issue of salvation within the mediaeval concept of merit. The question is asked ‘How do I merit eternal life?’ and the answer is ‘not by my merits but by the merits of Christ’. When we say that repentance is part of my meritting eternal life then of course we then say that repentance is unnnecessary because it is only by Christs merit that we gain eternal life. But might not repentance be necessary and at the same time be nonmeritorious? The disciples needed to follow Christ and leave their old lives in order to gain eternal life but I dont believe that there was any merit for them in this. So too we need to leave our old lives through repentance and baptism to gain eternal life but their is no merit for us in this. We are unprofitable servants. I would say that repentance is essential for following Jesus, entering the Kingdom of Heaven, and for various forms of salvation. But repentance itself is nowhere connected explicitly to receiving the free gift of eternal life from God. Repentance is turning..from oneself…to Jesus. We must repent. But God leads us to repentance through His kindness (St. Paul). It’s not a work that ‘we do’. Thank God. Or we’d be lost for sure. This is the contradiction you need to resolve: how can it be both something we must do and not a work that we do? How do you resolve the riddle? It’s like belief (faith) itself. We need it…but it is something that God works in us. Okay, so repentance is not something we do but something God does in us. In that case why are the gifts of faith and repentance not given to everyone? Isn’t it dreadful to live a life without connection to God, and worse, to be punished for it, when it was God’s choice and not yours all along? Equally alarming, why is violence against those who lack these gifts apparently morally justified in bible stories, laws and prophecy? I don’t know if you consider these questions easy or difficult, but I hope you can be patient if I’m slow in my understanding. This is an very popular understanding of the word repentance, but I don’t hold to it because I cannot make it fit most of the texts where the word repentance is used. Why some hear the gospel and come to repentance and faith…and others don’t is truly a mystery. And one we will never resolve. So you concede that your beliefs don’t make sense. Doesn’t that concern you? Just think about it a bit. Do you really want to stand before the Living God and count on how you gave been able to repent ? So instead of an understandable explainable moral system you’re offering obfuscation and fear. Is this really what we are meant to believe of God? We don’t offer explainable moral systems … or fear. We offer freedom. In Christ…who has done for us all that is needful. According to the bible your ownership has been transferred, you are now slaves of God. You argue that Christianity is amoral, that it lacks a moral system. I have to ask which “god” is glorified sans-morality? Now we are free from having ‘to do’ anything. There really is freedom in Christ…as Galatians 5:1 tells us. And now that you don’t have to do anything …what will you do? It’s very interesting…whether or not you agree with everything in it. And I for you, friend. Going back to previous concerns about those who have and those who have not heard the message regardless of whether God punishes eternally, for correction, or offers full salvation. Didn’t Jesus say in John 9:41 “If you were blind you would not be guilty of sin; but now that you claim to see sin remains.” And the notion is further reinforced when Jesus discusses children in Matt 19:14 “But Jesus said, “Let the children alone, and do not hinder them from coming to Me; for the kingdom of heaven belongs to such as these.” Children are blind to much of the world due to their lack of experience so less is to be expected of them, if a child sins its unwittingly in this ignorance there cannot be condemnation. Matt 7:24-27 also reinforces this notion: “Everyone then who hears these words of mine and does them will be like a wise man who built his house on the rock. 25 And the rain fell, and the floods came, and the winds blew and beat on that house, but it did not fall, because it had been founded on the rock. 26 And everyone who hears these words of mine and does not do them will be like a foolish man who built his house on the sand. 27 And the rain fell, and the floods came, and the winds blew and beat against that house, and it fell, and great was the fall of it.” Those who have heard the word and do not act on it are the ones Jesus seems to have it out for. This is further reinforced by his treatment of Sinners v.s Pharisees he has it out for the latter because they are the ones that should know better and be acting more responsible accordingly but do not. Just a thought I could be wrong. You write that repent is almost always concerning sin; but I simply cannot find that in the scripture without going beyond what is written. The word repent and the word sin are only found in the same verse twice in the entire Bible. In fact, many of the times the word is used in the Old Testament it is referring to God repenting, and He most certainly did not turn away from sin. Both times the words are used together it teaches that when one repents, their sins are taken away. It seems clear that John the Baptist and Jesus and Peter were telling people to change their minds about being believers. They should quit being an unbeliever and become a believer. You correctly point out that if turning from sin is a requirement for salvation then our works are a necessary part of salvation; but I would go further and say that an unbeliever simply cannot change their minds about sin. Only once they have believed on the Lord Jesus Christ and have become a new creature is there any chance that turning from sin is possible in any way. Sin does not send one to hell and turning from sin does not give entrance to heaven. Not believing that Jesus is the Christ, the Son of the Living God is what will separate one from God and being a believer is what entitles one to receiving the gift of eternal life. It is really a lot simpler if we do not go beyond what is written. I should have clarified that I was primarily looking at the Greek word metanoia, and was not saying anything about the Hebrew word shub. I think a careful study of shub will help clarify God’s “repentance” in the Old Testament. As to the connection between sin and repentance, I am not sure how you performed your study, but the context of nearly all references to repentance talk about turning from sin. It may not use the word “sin” exactly, but the context makes it clear. To make sure we do not go beyond what is written, we need to actually look at what is written in the context. So what do you do with 1Cor5? 1Cor5:1″It is actually reported that there is sexual immorality among you, and of a kind that is not tolerated even among pagans, for a man has his father’s wife. 2 And you are arrogant! Ought you not rather to mourn? Let him who has done this be removed from among you. Nothing too new here. Paul makes clear that he is referencing OT rules about the people of God. And it basically lines up with Jesus’ teaching in Matt18:17 about refusing to fellowship with someone who chooses to continue in open disobedience after being confronted about it. You might also reference Peter questioning the salvation of Simon Magus in Acts8. You sound like you would encourage this guy that being shacked up with his stepmom is no dealbreaker if he has “faith” and “free grace” is still covering him, but that seems out of line with the NT. You call it “free” grace but I would call it “weak” grace. Grace in the NT is power to obey (imperfectly but clearly resulting in visible change). The obedience itself doesn’t save you by merit but it does demonstrate the work of the Spirit. You make numerous false assumptions about my beliefs, which I will not go through and list for you. Bottom line: I would in no way every tell this man in 1 Cor 5 that what he is doing is okay. No one who holds to “free grace” would teach this. Acts5:31God exalted him to his own right hand as Prince and Savior that he might give repentance and forgiveness of sins to Israel. It’s especially interesting to consider 2Tim2:25 with respect to the modern notion of granting/gifting. Some would say that even if God “grants” someone repentance, they still might refuse it and not repent…but the context of 2Tim denies that possibility. It’s silly to suppose Timothy would follow up with Paul, “…but what if God grants them repentance and they reject it?” Paul’s words imply that if Timothy’s opponent is granted repentance, Timothy will know by their subsequent visible repentance. Ezek36:26I will give you a new heart and put a new spirit in you; I will remove from you your heart of stone and give you a heart of flesh. 27 And I will put my Spirit in you and move you to follow my decrees and be careful to keep my laws…31 THEN you will remember your evil ways and wicked deeds, and you will loathe yourselves for your sins and detestable practices. Similarly in the OT, repentance is a result of God’s work (grace). Rom9:19One of you will say to me: “Then why does God still blame us? For who resists his will?” 20But who are you, O man, to talk back to God? Which is all a long way of saying that repentance is essential to salvation but it’s not a human work, it’s a work of God. I agree. On the day of Pentecost Peter says that to receive the Holy Spirit we must Repent and be baptised. The Holy Spirit is the Spirit of adoption so to become part of God’s family we must repent and be baptised. Baptism is part of this repentance and involves death to the old life in Egypt and ressurrection to a new life in the Messiah. Confusion comes I think when people identify repentance with sin management, with trying to be good, with conforming to religious lifestyle, in short with legalism. A true story. An evangelist preached the gospel to a bartender who then believed. As an experiment the evangelist decided that he would not tell the bartender what to do but would allow the Holy Spirit to convict the man. A month later and he returned to find the bartender still in is job. ‘What has God told you do’ he asked ‘God has told me to stop watering the whisky’ the bartender replied. ‘A false balance is an abomination to the Lord, but a just weight is his delight’. What we imagine displeases God is not what displeases him. Repentance in the bible seems to be simply a change of mind. Whatever the change of mind is about depends upon the context. In regards to salvation, repentance is simply a change of mind about God and the Lord Jesus Christ. Repentance is not turning from sin, is not a promise to be obedient, nor is it turning from something. Repentance simply means to change your mind. You can repent about your favourite colour. To imply that someone must turn from sin in order to be saved is works for salvation. John’s gospel never uses to word REPENT regarding salvation. That’s because if and when someone BELIEVES on the Son, one HAS Repented (ie:changed his mind). Worth checking out Thomas Cucuzza’s document on Repentance. Repentance is a gift from God just like salvation. The Hebrews under the Law had to renew this repentance every time they wanted to come from sin to be right before God. It was something they received from the burnt offerings. Now anybody can see that this is an impossible situation to keep renewing repentance all the time because it lasted only until another sin was committed. But if they had not committed another sin since their last burnt offering and they died, they would appear right before God forever. God does not accept man’s feeble attempt at repentance because it is just not good enough but repentance is still needed to have salvation and it is obtained as a gift the moment we declare Jesus Lord of our life . There are 2 things required to have salvation: The perfect repentance and the perfect blood sacrifice. When a person obtains this , salvation is forever whether another sin is ever committed or not. It is impossible to renew this perfect repentance because that would mean crucifying Jesus again who is the perfect blood sacrifice. Thankfully, this perfect repentance is a gift just like salvation is and God’s gifts are irrevocable. It wasn’t actually free though: Jesus paid the price on Calvary. The arguments about John’s Gospel not mentioning repentance, etc. are dealt with in what appears to be a crushing way, and statements like “unless you repent, you will perish” (Luke 13:3) make it very difficult for me to think that repentance is not necessary to avoid perishing. Doesn’t it depend on the context of the word repent? For instance in Acts 2:38 where Peter tells them to repent and be baptized for the forgiveness of sins, his audience in unbelieving Jews, and he is telling them to repent of rejecting Christ and believe in Christ. Yet in 2 Corinthians, when Paul talks about “sorrow that leads to repentance”, he is writing to believers. So again I ask, doesn’t it depend on the context of the word repentance? No, you do not have to turn from sin to be saved, but a genuinely born again child of God will exhibit evidence of salvation including a gradual change of lifestyle resulting in a transformed life and personality. This happens in differing degrees and differing timelines for all types of believers. Then there is the Judgement Seat of Christ, where Jesus will evaluate our lives post salvation, it is at this event rewards for repentance will be issued or lost, the main sin repented of in believers being selfishness and selfish living. So a believer does experience loss if they fail to repent of sin, because sin robs. It is ALWAYS a good policy to stop sinning. I think I’m with you but with minor disagreement. I believe as you say, that turning from sin does not save, but it is a duty of a believer; fruit of salvation, not root of salvation. Jonah 3:10 says that turning from sin is works. I see people link repent with Nineveh because Jesus said Nineveh repented at the preaching of Jonah. They link the quote by Christ to the previously mentioned verse. However a few verses prior in Jonah 3:5 it says that they believed God. Have people linked this to Jonah 3:10 through presuppositions? Along with this I’d like to quote from an article. This is what Paul was preaching! Repentance toward God using the Granville Sharp’s rules of Greek exegesis, is synonymous (means the same) as faith toward our Lord Jesus Christ. The illustration that I shared with you earlier about the evangelist traveling from Michigan to Hawaii is an excellent example of repentance and faith. You don’t leave Michigan first and then afterwards fly toward Hawaii; but rather, the two are inseparable. The evangelist is DEPARTING from Michigan at the same time that he is moving TOWARD Hawaii. Likewise, repentance and faith are one deal, happening simultaneously (at the same time). First, I would agree that repentance is often necessary for “salvation.” But I define “salvation” as something quite different than “receiving eternal life.” Eternal life is received by faith alone in Jesus Christ alone. Second, I would completely agree that repentance might often precede faith. Non-believers can (and should) repent just as much as believers can. Sometimes this repentance in unbelievers leads them to the place where they do believe. Third, I agree that repentance definitely has wonderful consequences. That is why Scripture calls us to repent! The Ninvetites are a great example. Regardless, in the case of Acts 20:21, if the Granville sharp rule is true, it might very well help us understand the text, but if so, it is only equating Jesus with God. It would not be equating faith and repentance, since these are not people. This then would be another verse that teaches the same thing I have always taught: We can believe in Jesus for eternal life, and we can repent to escape the devastating and destructive consequences of sin.